Like the worst sci-fi scenarios, the fear is that interconnected ‘intelligent’ software and machines embedded in our essential infrastructure get out of control or become vulnerable to hackers, crackers or cyber-terrorists. The theme of smart machines dictating the terms of engagement with humans has underscored decades of sci-fi books and movies from Hal in Space Odyssey to Skynet in The Terminator movies and an array of recent dystopian dramas. While we marvel or sit back in bewilderment at how the computer and communications revolution has challenged every aspect of our lives, another wave of disruption – next generation artificial intelligence (AI) – is evolving and learning more quickly than anyone imagined. AI imitates human brain networks so massive amounts of data can be processed, and is already embedded in many corporate and public-sector processes, through voice and pattern recognition, machine learning and enhanced automation. AI is not just computing on steroids, but technology that can rapidly learn from other machines, smart devices, ‘intelligent agents’ and sensors to solve problems, find short cuts, create efficiencies or detect anomalies, patterns and trends. Imagine what will happen when AI – which doesn’t sleep, eat or take breaks and can multi-task endlessly – gets a firm grip on accounting, market research, telemarketing, front line retail (reception, helpdesk, check out, ticketing, etc. ), software development and the next level of automation! Massive investment from the likes of IBM, Microsoft, Facebook, Amazon, Google, Uber, Apple, Skype and Elon Musk’s Tesla is setting the scene for a paradigm shift. In an agricultural and horticultural based economy like Hawke’s Bay, there are calls for urgent investment to tap the potential benefits, alongside serious concerns about negative social and economic fallout, including job losses. Interim New Zealand reports are calling for broad-ranging discussions and government guidance on AI advancements, with a warning that failing to engage early could lead to the worst outcomes. In May 2017, Google revealed its AutoML project, an AI system designed to help create other AIs. Within five months it had built machine learning software more powerful and efficient than anything designed by humans. Building next generation AI systems requires skills possessed by only a few thousand scientists, but this breakthrough, according to Google CEO Sundar Puchai, opens the way for “hundreds of thousands of developers” to get involved. It’s this imminent shift in capability that has prominent scientists and technology leaders warning that we need a social and moral ‘rain check’ before smart, self-learning technology starts telling us what to do or making decisions on its own. The greatest threat would be “not considering the impacts”. Many other countries are developing coordinated AI strategies and “New Zealand needs to be among this vanguard”. A 2015 open letter from the Future of Life Institute, signed by leading theoretical physicist Stephen Hawking, billionaire entrepreneur Elon Musk and more than 8,000 others, insisted on more research into the benefits and pitfalls. It warned of unrestrained AI in the military and the prospect of finance, insurance and consumer markets being susceptible to disruption through AI technologies that learn, model and predict human and market behaviours. Microsoft CEO Satya Nadella, in opening Microsoft’s 2017 Build conference in Seattle, spoke of the risk of creating a frightening dystopian world like George Orwell’s 1984 or allowing autonomous weapons to decide when and where to fire rockets. He said a moral intervention was required, something machines were not capable of. And while experts claim machines can’t be racist or sexist or make other biased decisions, how will they know whether they are or not? Will they treat us humans with dignity and fairness and is there at least a ‘Pause’ button before committing to their digital decisions? Apparently, that’s being worked on. Google’s DeepMind, invested in by Musk and co-founded by ex-pat Kiwi Dr Shane Legg, has developed an AI ‘off-switch’ as part of a safer path for the next stages of AI. The AI Forum of New Zealand (AIFNZ), suggests changes might be coming faster than we are able to adequately prepare for and will explore the opportunities and challenges in a forthcoming impacts report. The AIFNZ, an NZTech initiative launched in June last year, has mounted a call to action so people have a say in how these technologies are deployed and whether they can opt out. AIFNZ chairman Stu Christie says AI-driven technology will impact everything about our society, not only how we work but how we play and conduct ourselves as a community. We need to engage in a “broad participation debate” and come up with a “cohesive national response so we’re well positioned in the future-state digital economy”. Christie says the social impacts of increased labour automation, for example, are political and economic. There is an urgent need to demystify the technology and ensure the right technical and management skills are available. A report from the Institute of Directors and law firm Chapman Tripp wants a working group of experts from science, business, law, ethics, society and government, to make recommendations about how New Zealand should prepare for AI-driven change. Its 2016 report and call to action, Determining our future: Artificial Intelligence. Opportunities and challenges for New Zealand, says AI is pushing the boundaries of machine intelligence “to create artificial general intelligence … a machine that could successfully perform any intellectual task in any domain that a human can”. That’s way beyond current single-task focus of driving a car, recognising speech, searching the internet, playing chess or making product recommendations. It suggested government revenue may be affected with AI able to accomplish tasks faster and more accurately than people, thereby “destabilising income related revenue”. AIFNZ’s Christie says existing research indicates anything based on repetitive tasks or roles will be impacted by AI-driven technology, including in the primary industry, manufacturing and the services sector. While international research is indicative, he says it needs to be localised, including evidence for where and how AI will lead to new jobs and tasks “by augmenting human capabilities”. 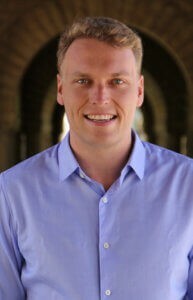 Former Taradale High School 2008 dux, and Fullbright scholar, Sam Corbett-Davies, is studying AI in policy decision-making for a PhD in computer science at Stanford University. He suggests we proceed “with cautious optimism” as there are “huge potential upsides and downsides”. While machine learning algorithms are better than human experts at making certain predictions, for example in medicine and criminal justice, questions are being raised about the fairness of these tools, particularly in a US criminal justice system already tilted heavily against minority groups. These predictive tools and algorithms can help decide “how much evidence police need before they search the cars of drivers of different races?” and are being used by judges in the US and elsewhere to determine who should be remanded in custody before their trial and who should be released. As for self-driving cars, he says they’re now close to being viable and “could massively reshape cities in good and bad ways”, including environmentally. On the downside, it could also exacerbate urban sprawl and add to pollution. 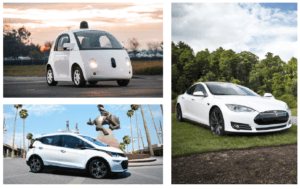 While some autonomous vehicles will be electric, he says that’s unlikely to be viable at first with ride-sharing companies wanting to maximise time on the road rather than wait for a recharge. There’s also a dilemma around how to apportion blame if a self-drive vehicle gets it wrong? Corbett-Davies says that’s a legal question many are now working through. More prosaically, he says, we’ll see AI taking over “boring, everyday decisions”, and while its presence will mostly be invisible, the spread of AI decision-making systems “will add up to big changes” in how we live our lives. A computer system will evaluate your moles instead of a dermatologist, and “we’ll catch a lot more melanomas than before”. AIFNZ’s Christie is confident New Zealand AI innovation is already well underway and likely to operate “in the application level of the technology stack” where there are “specific use cases and data-sets requiring problem resolution”. If world-class solutions are developed, such as Auckland-based Soul Machines, there’s no reason why they wouldn’t be exported, adding to the $32 billion in annual outputs of the tech sector, which now makes up about 8% of the New Zealand economy. Soul Machines, using neuroscientists, psychologists, artists and innovative thinkers to ‘re-imagine’ the convergence of humans and technology, created a virtual assistant avatar called Nadia, used around the world for medical diagnosis. Nadia, powered by IBM’s $50 billion cognitive system Watson, has a higher success rate than human doctors and also helps people with disabilities navigate government services. Another smart assistant, Rachel, helps with online banking. 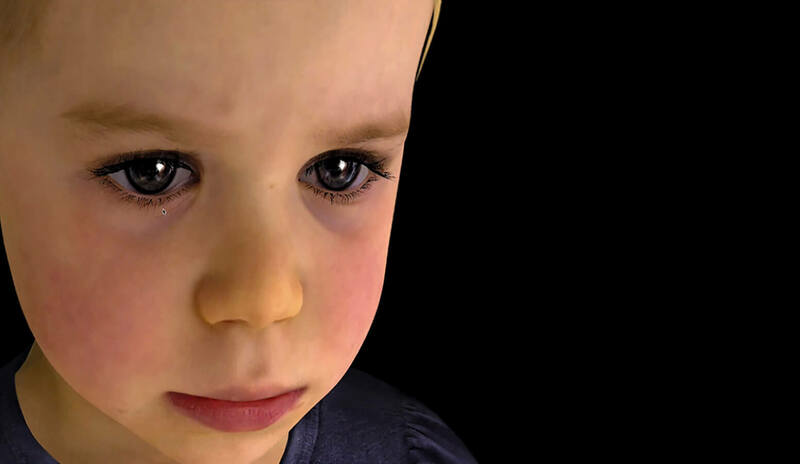 These lifelike avatars can read facial expressions, show human-like empathy or ‘emotional intelligence’, and will increasingly be used as ‘digital employees’ or smart assistants. Microsoft is using AI for congestion monitoring and modelling around the world and is working with Auckland Transport to try and alleviate gridlock, hopefully resulting in more intelligent decisions about traffic light timing and rerouting of traffic. BNZ is one of the first users of Intel’s Saffron AI-based money laundering detector, which analyses big data so the banks can detect misuse of its systems in hours or days rather than weeks or months. It is hard to escape the inevitability of AI becoming relatively pervasive, when there’s profit to be had from faster, more efficient production and decision-making. One international survey suggests 50% of people believe AI will be smarter than humans within the next 24 years. The majority of those surveyed believe that milestone would be reached within at least 60 years. Google’s director of engineering Ray Kurzweil, insists computers will have human-level intelligence by 2029. Many hard questions remain. Is our education system equipped to generate the skills and mindsets that will thrive in the not so distant AI future? Should tertiary institutions begin redesigning their curricula or focus on general thinking and problem solving? How will we cope if several layers of paid work are eliminated? If AI is going to create new jobs will those same people be retrained or become redundant like those displaced by previous advances in technology? We’re told digital-assistants, self-driving vehicles, robotic workers, drone delivery systems, remote diagnosis and other AI innovations replacing repetitive and manual tasks will free workers up for more creative tasks and greater leisure time. The sceptic may recall the promises made at the dawn of the computer age that technology would free us up so that we need only work three or four days a week! Instead, technology has us connected and on demand 24/7 with many now working twice as hard or taking on extra jobs just to keep pace with the cost of living. What if there are no new jobs and we’ve simply culled the work force in the interests of efficiency and higher production? Will socially-impacting AI decisions be democratically made or profit-driven? What happens if AI just keeps learning and getting better? At what point does this become a moral or a human rights issue? One 2017 US study estimates 50% of low skill jobs will be replaced by AI or automation. The only saving grace might be that computers can’t really think creatively (yet), so we’d better start doing a lot more of that for ourselves, particularly how to retrain the impending jobless and how to make human creativity the new added value. If Hawke’s Bay’s best thinkers and developers get in early enough, technologies based on artificial intelligence (AI) could deliver efficiencies in agriculture, manufacturing, infrastructure and transport, creating a competitive edge through value rather than volume. Apple and kiwifruit picking with machines that learn from humans and each other have been demonstrated at the annual Mystery Creek field days. And there’s talk of AI-driven robots running milking sheds while drones monitor stock movement and crop health. Sam Corbett-Davies, a Hawke’s Bay boy now working with smart decision-making tools at Stanford University, was initially lauded for developing the AI system for a grape vine pruning robot in his final year at Canterbury University. His specialty interest was computer vision, building machines and computer systems that can ‘see’. The viticulturists on the project said relatively unskilled seasonal workers often made mistakes, “whereas a robot could be trained to prune vines consistently and correctly”. Corbett-Davies told BayBuzz advances in computer vision and robotics will continue to make fruit harvesting and sorting more efficient. He applauds companies like Hastings-based Compac which he says is leading the way in accurate, high-speed fruit grading, sorting and packing technology for the produce industry. He says the use of AI and robotics may result in increased yield with clear potential for New Zealand research and development engineers to lead the world in developing these systems. 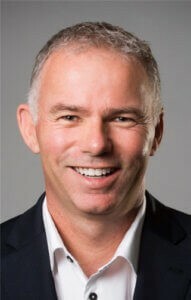 New Zealand Artificial Intelligence Forum chairman Stu Christie says opportunities will evolve for Hawke’s Bay’s primary sector through machine learning, robotics and other AI applications, specifically in areas where large amounts of data can be gathered for processing. He says there’s plenty of scope for using remote sensor technologies, broadband, low power wireless data access and sufficient processing power for AI development platforms. Christie says businesses and industry need to start creating these platforms now, “effectively building on existing precision agriculture, leveraging real-time low-earth orbit satellite data streams and adding in robotics and machine vision on top of existing automation where applicable”. He suggests opportunities could include automated harvesting of complex crops and within difficult terrain; genetic engineering; CRISPR editing of genes (for bacterial defence systems); development of synthetic meat and milk; and “robotic harvesting of sensitive crops using sensing technologies”. Christie says the return on investment for big data-driven and AI needs to be more clearly articulated so key stakeholders like banks and other investors can understand and support these businesses.